2016 has been a colorful year for me. A lot of traveling, meeting new friends, exploring new places, and many more. 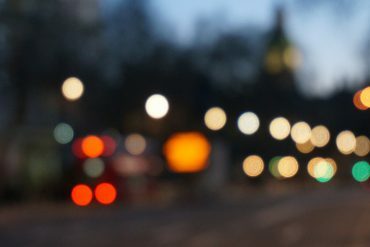 I tried writing down the list of places I’ve been throughout 2016 and the list showed that I visited more than 30 cities and 7 countries in the world (some of them even multi visits) this year. 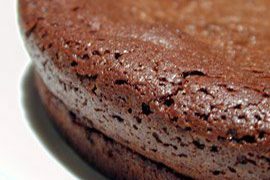 Wow, not bad! 😀 It didn’t feel like I’ve done all that, just in a year! 😀 But I loved every single place that I’ve been in 2016. Two countries, South Africa and Vienna, I visited them for the first time! Yeayyy! Whereas the other countries — Vietnam, USA, Thailand, Cambodia, and The Netherlands — were not new for me, yet, still fun to visit :). When I attended an event discussing about what’s going to happen in the year of Monkey (Chinese calendar), the speaker said that 2016 wasn’t going to be a good year for many people. Monkey tends to be naughty and playful. She said, 2016 would make some people angry and high tempered, because of unpredictable things. Of course people who attended the event got a bit worried, right? And so did I. But, she said, for the “Dragons”, meaning people who were born in the year of Dragon, it wasn’t gonna be too bad. I smiled. I was born in the year of Dragon :). So, I left the event convincing myself that it was gonna be a good year for me! And now I could say, yes, it was a good year! Publishing “Lembar-Lembar Pelangi” – my first book! Anyway, if being Javanese taught me anything, it was to look things from the bright side. Perhaps it was for a good reason I lost those laptops. I started re-writing the last chapters of my book draft (the one I haven’t managed to send to my editor), re-reading the book, and re-editing again from Chapter One. Tiring? Of course. But I think the published version of the “Lembar-Lembar Pelangi” book was much better than the version in my stolen laptop :). 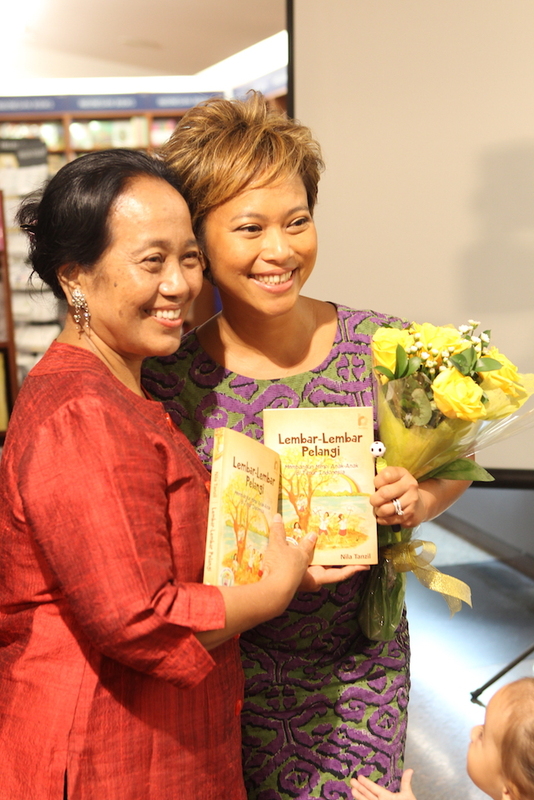 It was like a dream come true, publishing “Lembar-Lembar Pelangi” at Kinokuniya Bookstore, Jakarta. My first published book! Now I could call myself an author. How cool is that? 😀 If my late Dad was still alive, I’m sure he would be very proud of me. He was such a book worm and my grandfather even owned a publishing company – one of the first publishing companies in Indonesia, named “Boekhandel Tan Khoen Swie”. So, books have been very close to our family for generations. I was so grateful to be chosen as one of the fifteen fellows for the Equity Initiative Fellowship funded by Atlantic Philanthropies and China Medical Board. 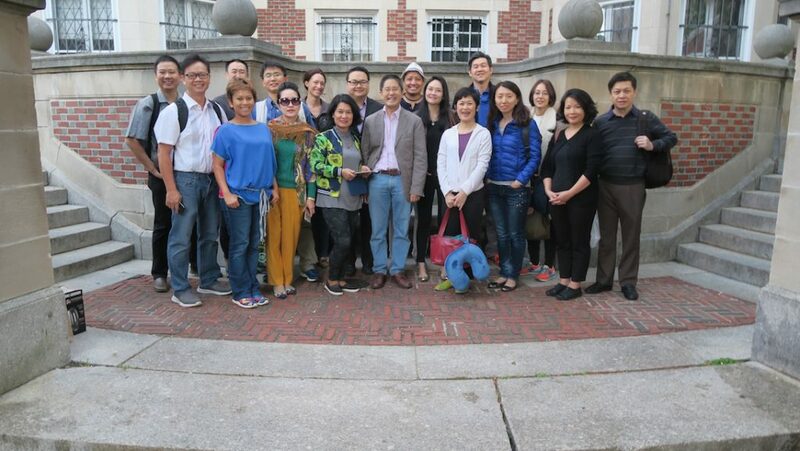 The fifteen fellows are from Southeast Asia and China, leaders in their own fields in their countries. What an honor to be surrounded by a great group of thought leaders in the region for a year and for the next 20 years ahead! In a year, we met every two or three months for field trips. We learned, discussed ideas, debates, and grew together. We get close and comfortable with one another. We understand and help each other. I love my fellows so much!! Now, we become like a big family. I can’t tell you how blessed I am to be in this fellowship. Thank you, Universe for giving me the opportunity to meet with the like-minded people who are not only leaders, bright minds, but also have good hearts :). I must say that studying at Harvard is one of my highlights this year. 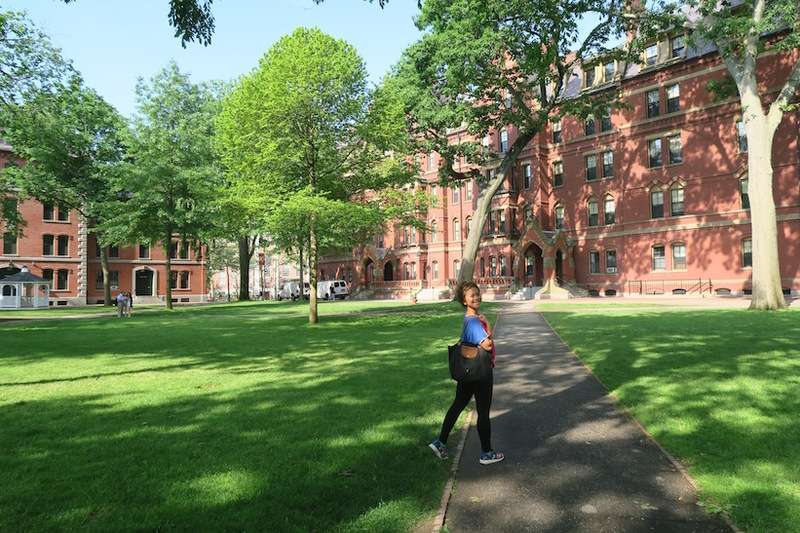 Meeting Amartya Sen – the Nobel Prize Winner, Paul Farmer – the Man Who Cure The World, and many other top notch Harvard professionals and some of the world’s greatest minds were such a rich, inspiring experience for me. ‘Nuf said :). Partnering with Room to Read… again! I’m also grateful that Taman Bacaan Pelangi [Rainbow Reading Gardens] is partnering with Room to Read again for the next three years! Yeah!!! We are going to build 48 new libraries together! Woohooo! And our NGO has achieved quite a lot this year. We have eight people working in our organization, secured funding to build 61 new libraries for the next three years through partnerships with private sector, other NGO, and donation from individual donors. This year, we’ve relocated three libraries and built three new libraries in Sumbawa and Raja Ampat, Papua. We end 2016 with 42 phenomenal libraries across 15 islands in Eastern Indonesia with over 90,200 children’s books in total, benefiting over 12,700 children and trained 330 teachers in the region. I can’t thank everyone enough for all the support and the love given throughout 2016 in helping me and my team grow our organization, provide more access to books to the kids who live in some of the most remote villages in Eastern Indonesia. 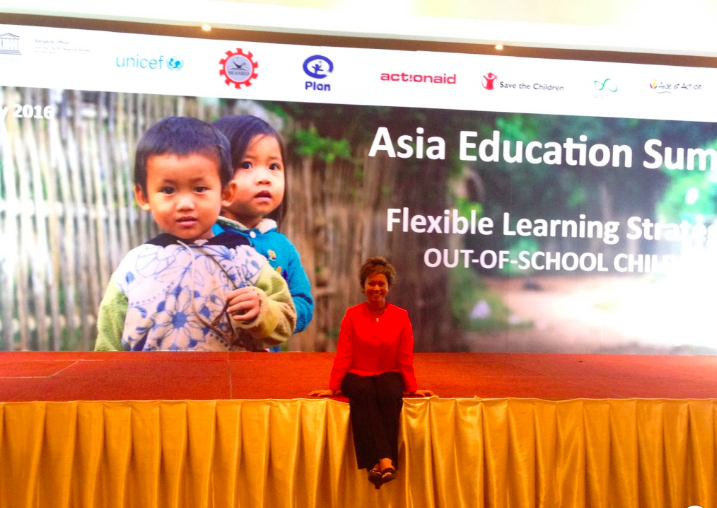 Speaking at the UNESCO’s Asia Education Summit 2016 in Bangkok, Thailand. It was such an honor for me to speak at this prestigious summit, invited by UNESCO. I was the only Indonesian to speak at this world class event. Over 500 people from 42 countries attended the Summit! To me, what I loved from being there was actually meeting the other fellow speakers. They’re soooo inspiring, super passionate in education and in what they do. Meeting people like them giving me another strength to keep doing what I do. Every single person in the Summit is making a difference in the world. And they’re all striving in making the world a better place to live in, for our future generation. And they’re all facing all the challenges that are much harder that anyone could think of. We’re all speaking from our hearts. And chatting with them, looking into their eyes and seeing the sparks in their eyes as they speak about their cause, are enough to recharge my battery and keep my spirit high! 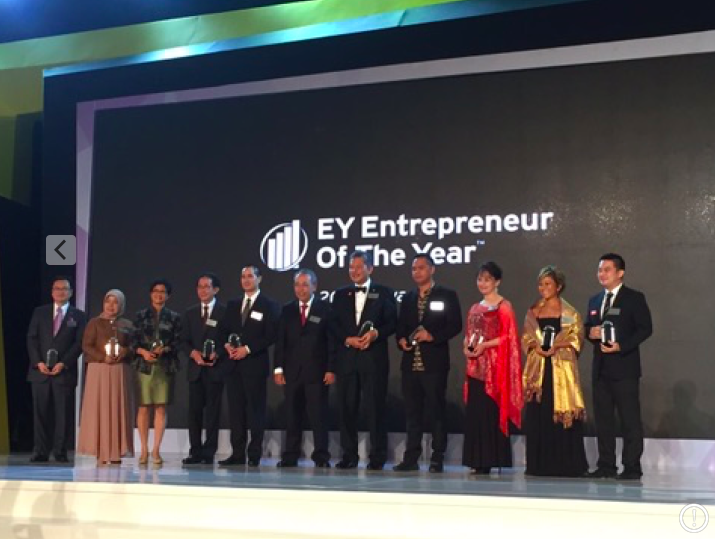 and also chosen as one of the 10 finalists for EY Entrepreneur of The Year 2016, a prestigious award for entrepreneurs! There were three people for the social entrepreneurs category and I was one of them. I never thought of what I started seven years ago (establishing a children’s library in a small village in Flores) would become like what it is right now. I guess, if we do something from the heart – genuine and sincere – the Universe will conspire to help you in many ways. I hope the award would open up more collaborations and partnerships with the private sector. I truly believe in public, private partnership! Nobody could do everything alone! TV Show with My Baby Girl: Little Explorer on NET TV! This year marks the first time me and Sienna, my baby girl who just turned two this month, have a travel show on TV together!!! Yeayy yeay yeayyy!! I could tell that Sienna inherited her love of travel from both me and my hubby, Zack. She gets excited every time we go somewhere, be it only a daily walk in the afternoon around the neighborhood or traveling to other island or country by plane. And the fact that she’s a happy baby, makes the whole travel journeys a lot easier! So, when NET TV offered me to be the host for their new travel show together with Sienna, of course I said YES! YES means… more bonding & quality time between me and her. YES means… Sienna gets to explore different parts of Indonesia. YES means… Sienna gets to expose to many different cultures, meet many people from different parts of Indonesia, and experience many new things from each area we visit. Initially, NET TV wanted to name the program something like “Traveling Mom”. But after they saw Sienna’s Instagram and photos, they came up with another name: “Little Explorer”! 😀 So, Sienna would be the center of the travel show! Hahahaha.. The “Little Explorer” program airs on NET TV, a leading TV station in Indonesia, every Friday at 12.40pm. We started shooting three months ago and I trully enjoy traveling with her. I love watching her eyes spark every time we reach the destination, how she interacts with the locals, how she chases puppies in a village, plays with the other kids, etc. She gets along very well with everyone and is always up exploring new places! We’re so lucky to have such a happy baby like her. She’s such a sweetheart! So, those are my 2016 highlights. 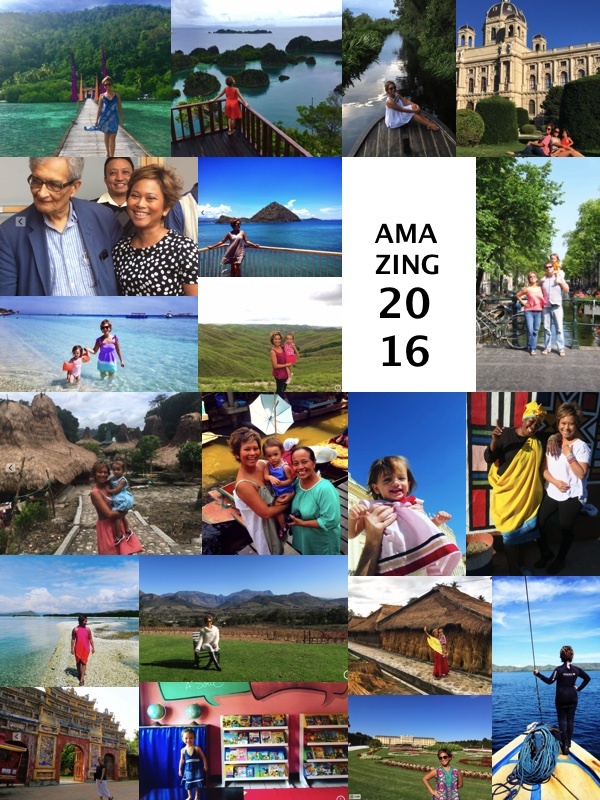 I’m very grateful for all the great memories, travels, achievements, friendships and progress in 2016. And I’m excited for another awesome adventures in 2017!!! Thank you, 2016. And hello 2017! It’s gonna be GREAT!! !